Our new Smartdiesel fuel card aims to take the guesswork out of fuel card usage. We are launching a totally unique offering – you now have an alternative to negotiating your fuel price. Benefits of a fuel card? 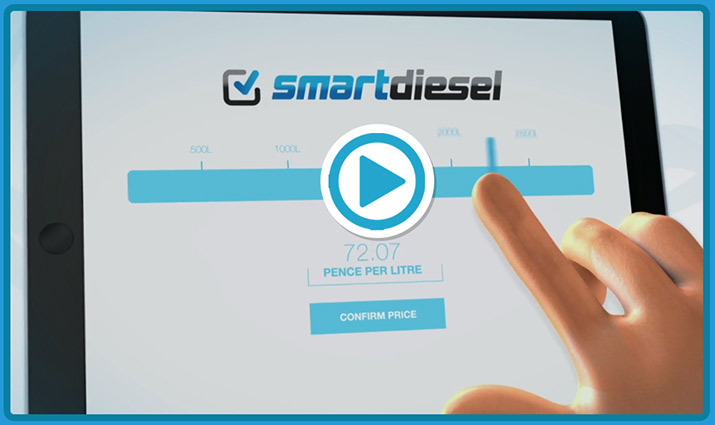 With Smartdiesel you will have access to over 2,000 sites across the UK, with over 450 HGV sites with 135 discounted sites on the Smart Saver network. Most of our fuel stations operate 24 hours a day 7 days a week, perfect for fleets that never stop. With Smartdiesel's unique transparent pricing, you will always know the price you pay for your fuel . You will also benefit from further discounts on your fuel, when you increase your fuel spend on your Smartdiesel cards. With our online authorisation limits, you have the ability to set card limits and stop cards 24/7. 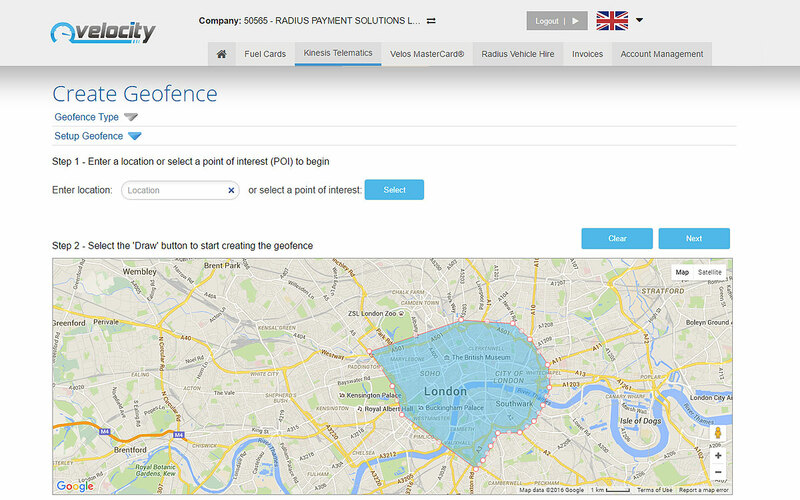 Our advanced reporting tools are all accessible online via Velocity - helping to limit the potential misuse of your business fuel cards. As a Smartdiesel fuel card customer, you will receive comprehensive invoices listing all transactions in one place. All our invoices are HMRC approved, so claiming back VAT on business fuel purchases is easy and straightforward – no more collecting driver receipts and checking against time-sheets. Our Velocity online fleet management system gives you 24-hour access to your fuel card account. You can set your weekly pricing, stop & order cards, check monthly spend, run reports, and download historical invoices at any time during the day. 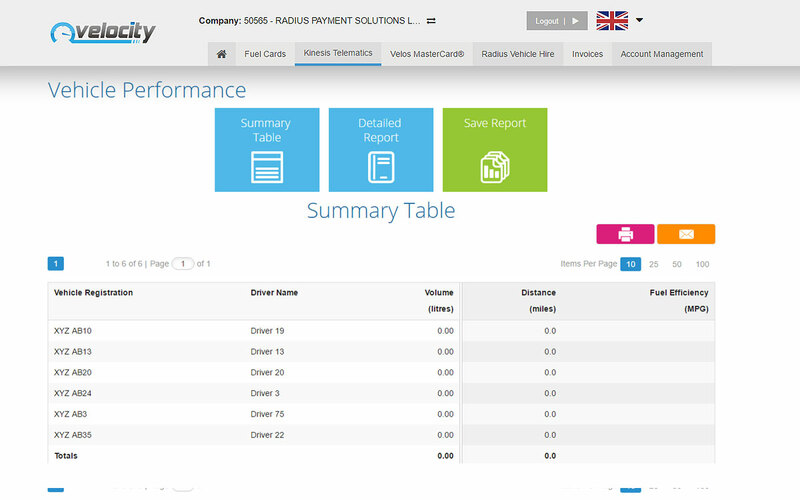 With this much fuel card data at your fingertips, you will have complete control of your fuel spend, enabling you to ensure maximum fleet efficiency. The complete Smartdiesel network is available online through our e-route site locator. Available on desktop, mobile or as a SatNav download, you and your drivers will always know where the nearest site on your network is. e-route will give you the full details of the site including facilities available to your drivers. 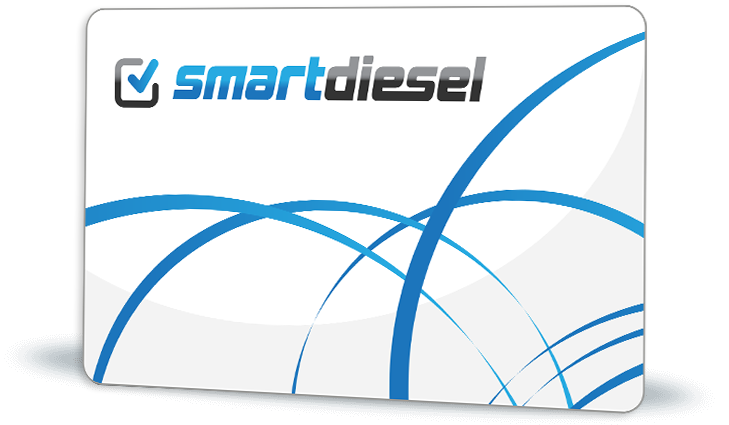 Why choose Smartdiesel fuel card? 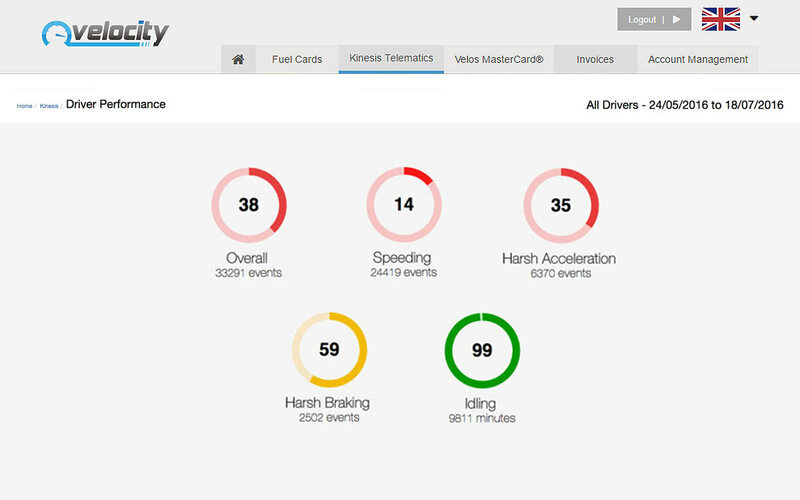 Manage your fleet and fuel costs on any device, in realtime. You’ll have access to set your weekly fuel price based upon the volume of fuel you commit to. Check your fuel card networks and station locations across the UK. Essential for any business, the only GPS vehicle tracking system that integrates fuel card usage with live tracking data for a comprehensive fleet management system. 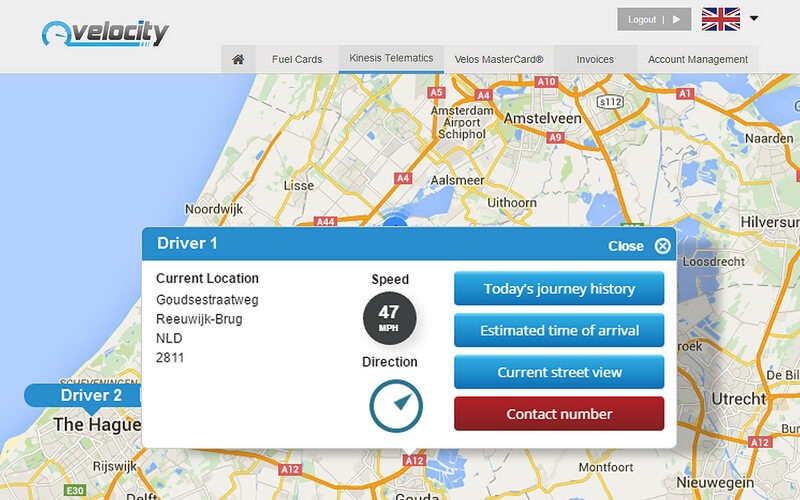 Accurate vehicle location tracking across Europe, it's never been easier to check on driver and fleet progress. Measure your Vehicle Performance with accurate fuel efficiency analysis. Choose any combination of vehicles and review their journeys in depth over any timescale. Get notified via text message when company vehicles enter a pre-set area. Monitor driving styles and behaviour with Driver Performance. Easily turn off tracking or set a custom schedule for tracking during business hours. "Website" means https://www.smartdiesel.com/, or any other website UK FUELS may authorise Customer to access in connection with this Agreement. 3.1 UK FUELS may in its sole discretion provide, or cause a third party to provide, one or more Cards to the Customer. The Customer can use a Card for purchasing certain Goods from UK FUELS that are available at Supply Points but a Customer is not obliged to purchase a minimum amount of Goods. A Card that has not been used for a certain period of time, as determined by UK FUELS, may be cancelled automatically or subject to a Charge as a result of such non-activity. 3.2 UK FUELS offers, through Retailers, a range of Goods that can be purchased from UK FUELS by use of a Card. The Customer determines the categories of Goods that can be purchased from UK FUELS with the Cards based on the available offering under the Card Program. UK FUELS may at any time and without Notification extend or reduce the range of Goods it offers under the Card Program. The issuing of Cards to the Customer does not confer any right to Customer to receive supplies of Goods. 3.3 Use of a Card constitutes a purchase of Goods from UK FUELS. Title to the Goods and risk of loss will pass upon delivery of the Goods to the Customer at the Supply Point. 3.4 Cards may only be used at participating Supply Points, however Retailers have the right to retain cards and/or to refuse to supply Goods, accept Cards or process Transactions for any reason including, but not limited to, the Cardholder not presenting the Card to the Retailer at the Supply Point prior to drawing Goods, shortage of product, technical failure of equipment or failure by Customer to comply with this Agreement. The Customer shall comply with all operating requirements and conditions imposed by a Retailer at the Supply Point. Any fees or payments charged by a Retailer to UK FUELS in connection with Transactions by the Customer not complying with local regulation or damaging Retailer's equipment can be charged by UK FUELS to the Customer. If the Goods have already been supplied and the Card is not accepted by the Retailer for whatever reason, the Customer is required to pay for the Goods at Retailer's customer price applicable at the Supply Point with other means of payment. 3.5 The Customer may authorise Cardholders to use a Card and shall ensure that Cardholders comply with the Customer's obligations under this Agreement. The Customer shall ensure that Cards do not remain in possession of anyone who has ceased to be an authorised Cardholder. 3.6 The Card may only be used for purchases that correspond with a normal consumption or use and Cards can only be used by the Customer in compliance with all applicable legislation. 3.7 Customer and Cardholders are not entitled to participate in any UK FUELS promotions or loyalty schemes on Transactions using a Card unless otherwise invited in the terms of any such promotion or loyalty scheme. 3.8 UK FUELS may modify or end its Card Program and/or replace it with a different program. In addition, UK FUELS may increase or reduce the number, and vary the type, of Retailers and/or Supply Points where Cards can be used without Notification. (c) be liable for any and all payments to be made through the Purchase Device for a period of two (2) Business Days after UK FUELS has received Notification in Writing that the Purchase Device should be stopped (provided always that such notification has been given by 4pm, failing which the notification period shall commence on the next Business Day). 3.10 Customer agrees and acknowledges that title to the Purchase Device shall remain with UK FUELS at all times and that the Purchase Device shall be returned to UK FUELS at the end of the agreed period, failing which a non-return Charge shall be levied by UK FUELS. (a) All applications for the issue of Cards shall be at the absolute discretion of UK FUELS. It is understood that UK FUELS shall not be obliged to accept an application nor to give any reason for refusing the same, nor to enter into any correspondence in regard thereto. Each Card will be valid for use by the Cardholder to the extent of the Credit Limit from the date of issue until the date of expiry. (b) Cards remain the property of UK FUELS at all times. UK FUELS may cancel or block Cards or refuse to renew or replace Cards in its sole discretion and the Customer shall return Cards on first request to UK FUELS' registered office. UK FUELS may with prior Notification to Customer levy Charges on Cards. (i) if the Cardholder does not enter the correct PIN code. Notwithstanding clause 4.2(a)-(g), the Customer shall be liable to pay UK FUELS for all amounts due pursuant to each Transaction plus any Charges levied as a result of any breach of this clause 4.2. (a) Cards will bear, at the Customer's option, either the name of the Cardholder ("Driver Card") or the registration number of a vehicle ("Vehicle Card") and, if applicable, any other identification requested by the Customer and accepted by UK FUELS. (b) At the Customer's request UK FUELS may, at its sole discretion, issue Cards that are not Driver Cards or Vehicle Cards ("Wild Cards"), Cards that are to be lodged at a Supply Point ("Site Lodged Cards") and Cards with identical PIN that can be used by multiple cardholders ("Fleet Cards"). Wild Cards, Site Lodged Cards and Fleet Cards are issued under the Customer's sole responsibility and the Customer shall be liable in respect of any and all Transactions made with Wild Cards, Site Lodged Cards and Fleet Cards, even if they have been lost, stolen, duplicated, have not been received when due or if the PIN has been compromised, until such Cards have been blocked. The Customer will indemnify UK FUELS on demand in respect of all costs, claims and demands arising out of or in connection with the use of Wild Cards, Site Lodged Cards and Fleet Cards and will pay any associated Charges in connection with such cards. The same applies to Cards which are not issued as Site Lodged Cards but which Customer lodges at a Supply Point on his own initiative. Transactions will be processed online, except if this is not possible for technical reasons relating to the equipment required for such processing, in which case Transactions will be processed offline. Online Transactions shall be confirmed by PIN and offline Transactions (where permitted) shall be confirmed by PIN or by signature of the Cardholder on the sales voucher. Transactions confirmed in such manner are deemed to have been accepted by the Customer and will be invoiced to the Customer. A Cardholder has no entitlement to offline Transactions, and the Customer will remain liable for Transactions made without PIN. (a) The Customer will be responsible for identifying and taking all necessary precautions to ensure the safe storage and use of the Card and its PIN. Notwithstanding the foregoing, UK FUELS may from time to time recommend specific precautions to the Customer. A Card is issued with a PIN. The Customer shall only disclose the PIN to the Cardholder authorised to use the Card. The Customer shall ensure that the PIN is not compromised such as by keeping the PIN secret from any person other than the Cardholder, never storing the PIN together with the Card and entering a PIN discreetly. (b) UK FUELS may, in its sole discretion, determine proprietary security limits (such as a maximum value per Transaction, a maximum value for all Transactions per Card over a period of time or a maximum number of Transactions per Card over a period of time), above which Transactions may be refused or Cards may be blocked. These limits are determined, and may be revised at any time, by UK FUELS in its absolute discretion. UK FUELS may, but has no obligation to, refuse Transactions or block Cards that exceed such security limits and UK FUELS will not be liable if Cards are used exceeding these security limits. At the Customer's request UK FUELS may issue Card(s) that are exempt from security limits. The Customer will indemnify UK FUELS on demand in respect of all costs, claims and demands arising out of or in connection with the use of all such Cards. (c) A Retailer may, but is not obliged to, request the Cardholder to show appropriate identification to prove that his identity corresponds with the name on the Driver Card, in the absence of which such Retailer may refuse the Transaction and/or retain the Card. (a) If the Customer has reason to believe that a Card is lost, stolen, duplicated or has not been received when due or that the PIN is compromised the Customer must immediately Notify UK FUELS, preferably through the Website or By Phone, By E-mail or By Fax. Where Notification has been given orally, Customer shall confirm this by Notification in Writing within two (2) Business Days thereafter ("Confirmation"). (b) The Customer shall be liable for all Transactions made with a lost, stolen or duplicated Card (including all Transactions made with a duplicate of the Card) for a period of two (2) Business Days after UK FUELS has received Notification in Writing or Confirmation from Customer that the Card has been lost or stolen. However, if after two (2) Business Days, Transactions are made with the lost, stolen or duplicated Card using the correct PIN, the Customer will remain liable for such Transactions until the lost, stolen or duplicated Card has been blocked by UK FUELS, which UK FUELS shall do as soon as reasonably practicable. In addition, if after Notification by the customer that a Card is lost, stolen or duplicated, the Card is used by the Cardholder, the Customer will remain liable for such Transactions and UK FUELS may make such reasonable charge to the Customer as appropriate to cover the expenses incurred by UK FUELS as a result of Customer's Notification, including any payments made by UK FUELS to any person as a reward for confiscating such Card. (c) The Customer shall be liable in respect of all Transactions made with a Card with a compromised PIN until (i) the Customer has given Notification to UK FUELS as detailed in clause 4.6(a) above; and (ii) until UK FUELS has received the compromised Card with the top corners cut off. (d) The Customer shall give UK FUELS all reasonable assistance to investigate the loss, duplication or theft of any Card and to assist UK FUELS to recover the lost or stolen Card or a duplicate of the Card. (a) If the Customer wishes to cancel or withdraw a Card for any reason he should Notify UK FUELS accordingly and return the Card to the UK FUELS with the corner cut off. The Customer will remain liable in respect of all Transactions made with a cancelled or withdrawn Card, prior to receipt of the Card at the UK FUELS. 4.8 With prior Notification to the Customer, UK FUELS reserves the right to levy Charges in respect of the reissuing and replacement of any Cards. (a) For the purchase of Fuel Products, the Customer will be invoiced at the Rates. UK FUELS has the right to unilaterally modify the Rates wholly or partially with prior Notification. (b) For the purchase of Goods, excluding Fuel Products, the Customer will be charged at a price available from UK Fuels. (c) For transactions of Goods on Cards outside of the Network UK FUELS may apply a Charge or a Surcharge to the price of the Goods. (d) Goods shall be invoiced together with Charges, taxes, duties, and any other charges levied in the country of delivery. Value Added Tax shall be specified separately for deliveries in countries where this is legally possible. Taxes, duties and Charges will also be added to all service fees or other payable amounts as appropriate. Customers are responsible for Notifying UK FUELS in due course of any changes to their country-specific international (VAT) ID numbers, addresses and fiscal representatives. (e) UK FUELS may in its sole discretion levy a Charge for customer services or facilities it provides to the Customer, which may include, but is not limited to, the application of a percentage service fee to the purchase of all Goods. UK FUELS may from time to time modify the amount of the Charges or services to which the Charges relate. (f) Any Charges may be unilaterally changed and updated from time to time by UK FUELS acting in its absolute discretion. For the avoidance of doubt, any changes made in accordance with this clause 5.1(f) shall take immediate effect. (a) If Card Transactions have been processed, the Customers will be invoiced with the frequency agreed between UK FUELS and the Customer. UK FUELS may conduct periodic reviews on all Customers and UK FUELS reserves the right to amend the invoice frequency and the payment terms of the Customer with prior Notification. (b) The use of electronic invoicing (where available) is subject to the Customer subscribing to the e-invoicing service. UK FUELS may in its sole discretion levy a Charge to the Customer if the Customer does not subscribe to the e-invoicing service. When subscribing to the e-invoicing service, the Customer agrees that UK FUELS may archive Invoices electronically or have them archived electronically by its nominated third-party contractor. The Customer will be notified by an email when a new Invoice is available online. Email notification is provided for information only, and payment conditions apply in accordance with this Agreement. The Customer may still receive a paper Invoice in cases of manual adjustments. If any electronic invoice fails to reach the e-mail address specified or any loss or corruption of information occurs, it is the Customer's responsibility to advise UK FUELS and no such failure or loss shall affect the Customer's liability for making payment of all amounts properly due from the Customer to UK FUELS on or before the due date for payment. For the avoidance of doubt the Customer is responsible for informing UK FUELS of all changes to the Customer's administration data, which includes the destination e-mail address. The Customer is responsible for informing their local tax office, if required, of their intention to receive invoices electronically. (c) The Customer will be invoiced for Goods purchased in pounds sterling (£). Purchases made in foreign currencies will be converted to such currency using the Exchange Rate. (d) UK FUELS will issue Invoices or debit notes, payment requests, non-title invoices, non-VAT invoices or other legally appropriate similar documents as permitted by the Transactions, or will cause such documents to be issued on its behalf, for Goods sold by UK FUELS or Retailers to the Customer. If the Customer requires a VAT invoice for Goods sold by Retailers in circumstances where UK FUELS is not legally permitted to issue a VAT invoice, the Customer should request an Invoice at the Supply Point at the time of the Transaction. Invoices, debit notes, payment requests and other legally appropriate similar documents are jointly referred to herein as "Invoice(s)". 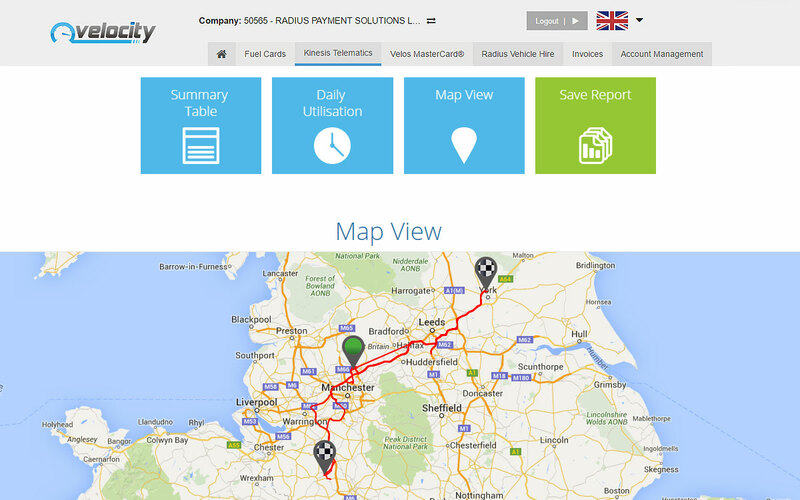 (e) Invoices are issued based on Transaction data communicated to UK FUELS by Retailers. Therefore, any subsequent corrections communicated by Retailers may lead to rectification of Invoices. (f) Sales vouchers, or duplicates thereof, are not issued by UK FUELS and should, if required, be obtained by the Customer at the Supply Point at the time of the Transaction. (a) Invoices are payable by the due date stated on such Invoice ("Payment Term"). The Customer shall pay Invoices without any discount, deduction or set off, so that UK FUELS's designated bank account is credited with the full amount and in the currency indicated on the Invoice within the Payment Term. Failure to do so shall constitute "Late Payment". (b) Unless agreed otherwise by UK FUELS, payments shall be made by means of direct debit. UK FUELS may levy a Charge for any other payment method than direct debit. The Customer shall provide UK FUELS with a direct debit mandate in a form acceptable to UK FUELS and shall ensure that a valid direct debit mandate exists at all times during the course of this Agreement. If nevertheless at any time a direct debit by UK FUELS is recalled by the Customer's bank, the Customer will immediately pay to UK FUELS an amount equal to the amount of such recalled direct debit. UK FUELS is entitled to levy a Charge for administration, increased in line with any bank charges incurred by UK FUELS for any recalled or failed direct debits. Customer shall Notify UK FUELS of any changes to its bank account details in a timely manner so as to avoid any Late Payment. (c) At its sole discretion, and at any time, UK FUELS has the right to revise the payment method or Payment Term and to revise or withdraw any credit that may have been granted to the Customer. Notwithstanding any other remedies available to UK FUELS, in the event that credit is withdrawn, all amounts then due and owing, for whatever reason, whether already invoiced or not, shall become immediately payable, and any future sales by UK FUELS to the Customer shall be with pre-payment or fully covered by a security in accordance with clause 5.3 (d) at UK FUELS's option. (d) The Customer shall provide to UK FUELS and maintain security in such amounts, types, form and issuers as UK FUELS may specify from time to time in its sole discretion. UK FUELS may request the Customer to increase the amount covered by the security or to provide an additional security if UK FUELS, in its sole discretion, considers that this is required to guarantee the Customer's current or future payments to UK FUELS. The Customer shall renew any expiring securities at the latest by the date corresponding to the expiry date of the security minus the number of days corresponding to the then applicable Payment Term, and if the Customer fails to do so, UK FUELS is entitled to block the Cards. If a parent guarantee is in place and, as a result of a change in the shareholding structure in the Customer's Affiliates, the parent company that has issued the guarantee no longer is a parent of the Customer, the Customer shall immediately secure an alternative security acceptable to UK FUELS, unless and until it is confirmed by the parent that has issued the guarantee that the guarantee remains in force. Failure to provide or maintain at all times adequate securities shall immediately make all sums owing by the Customer to UK FUELS (whether already invoiced or not) on any account whatsoever immediately and automatically due and payable. The Customer shall ensure that UK FUELS will have the option to call on the security until at least 6 (six) months from the end of the month after termination of this Agreement. (e) Disputed Invoices shall be paid in full by the Customer on the due date. If consequently parties agree that such invoice needs to be corrected with a certain amount, UK FUELS will promptly issue a credit note and repay such amount or set it off with any amounts due to UK FUELS by the Customer. For the avoidance of doubt, any dispute in relation to an Invoice shall be raised by the Customer within 10 days of the date of Invoice. (f) UK FUELS and its Affiliates may at any time, without giving Notification to, or making demand upon, the Customer, set off and apply any and all sums at any time owing by UK FUELS and/or by any of its Affiliates to the Customer or any of the Customer's Affiliates, against any and all sums owing by the Customer or any of the Customer's Affiliates to UK FUELS and/or to any of its Affiliates. The Customer shall not withhold or set off any amounts payable by him against any amounts payable by UK FUELS, except if this is mandated by law. (a) Late Payment by the Customer shall make all sums owing by Customer to UK FUELS (whether already invoiced or not) on any account whatsoever immediately and automatically due and payable, without prejudice to UK FUELS's right to charge automatically and without prior Notification, the Interest Rate. (b) The Customer shall be liable for all costs, charges and other liabilities incurred by UK FUELS as a result of the Late Payment. UK FUELS is entitled to charge all costs of collection, including attorney's fees to the extent permitted by law, in addition to all other amounts due. For payments that do not take place on the due date, UK FUELS reserves the right to levy a Charge in respect of such late payment. (c) All payments from and any credits or refunds due to the Customer will be used to pay off (i) any interest due (ii) any unsecured portions of the debt (iii) any secured portions of the debt and finally (iv) any other indebtedness to UK FUELS. (d) UK FUELS may use, without prior Notification or demand, any or all of the security to set off or satisfy all or any part of any indebtedness or obligation of the Customer to UK FUELS, including indebtedness arising from purchases under this Agreement or from any other agreement concluded between Customer and UK FUELS in relation to the use of Cards. (e) If a cash deposit has been made then such deposit can be used, at UK FUELS's sole discretion, as payment of Transactions which have been invoiced or not yet invoiced. (f) In case of Late Payment, failure to provide or maintain adequate security, exceeding the Credit Limit, or if UK FUELS, in its sole discretion, determines that there are objective reasons to conclude that the financial status of Customer has become, or is likely to become, impaired or unsatisfactory, UK FUELS may immediately, without prior Notification, block or cancel the Customer's Cards. (g) In the case of Late Payment, UK FUELS reserves the right to apply a Charge to all Transactions for a period of three (3) months immediately following the occurrence of the Late Payment. (h) UK FUELS reserves the right to terminate this Agreement, suspend Cards or levy a Charge in the event that the Customer's Credit Limit is exceeded. (i) If the Customer's account is suspended for any reason with a subsequent reactivation, the Customer may incur a Charge for any such reactivation requested. UK FUELS does not accept any liability for accounts that are not reactivated. (j) UK FUELS (or its agents or representatives) may perform credit checks on the Customer. The Customer hereby gives its consent to UK FUELS (or its agents or representatives) to carry out such checks. The Customer hereby acknowledges and agrees that the credit checks may involve giving information about the Customer to licensed credit reference agencies or third parties. Occasionally UK FUELS may use the information provided as a result of the credit checks to inform the Customer about any other product offering of UK FUELS or any third party from time to time. (k) UK FUELS may undertake periodic risk assessments of the Customers using industry-recognised risk exposure management tools and/or general market intelligence. If, following such risk assessment, the Customer's risk exposure reaches a specified risk exposure level determined by UK FUELS in its sole discretion, a risk based Charge may be applied to all purchases of Fuel Products for the duration of the increased risk exposure level until such point as the original risk level resumes. 6.1 The Customer shall ensure that all information communicated to UK FUELS (including name, legal status, address, email address, key personnel, bank details) is accurate and it shall forthwith provide Notification in Writing to UK FUELS of any changes. Upon request, the Customer shall provide complete and accurate financial statements (last audited accounts if available) and related information in a timely manner to assist UK FUELS with the financial assessment process. 6.2 UK FUELS shall not be liable to the Customer in respect of any inaccurate Invoices, documentation or reporting about Transactions resulting from incorrect information provided by the Customer, Cardholder or Retailer. All monies owing by the Customer to UK FUELS shall become due and payable forthwith if UK FUELS discovers that any of the information provided by the Customer to UK FUELS is materially inaccurate. 6.3 UK FUELS may at any time disclose to a third party any relevant information relating to the Customer, its Cardholders or its Transactions to the extent that this is deemed necessary by UK FUELS to enable the operation of this Agreement. The Customer shall treat information set forth in or derived from this Agreement as confidential. (a) For the purposes of this clause 6.4, "personal data", "process/processing", "data controller", "data processor", "data subject", and "personal data breach" shall have the same meaning as in the Data Protection Laws. "Data Protection Laws" means in relation to any Personal Data which is Processed pursuant to this Agreement, the General Data Protection Regulation (EU) 2016/679 ("GDPR") and all other applicable national laws relating to the processing of personal data. (b) The Customer acknowledges that in the performance of its obligations under this Agreement UK FUELS shall process (as data processor) the following types of personal data in respect of the following categories of data subject strictly in relation to and for the purpose of performing its obligations under this Agreement and for the duration of this Agreement: (i) types of personal data: contact data (full name, initials, contact address); transactional data (detail of purchases and locations of purchases); employment data (job role and employer information); (ii) categories of data subject: representatives of the Customer, the Retailer and the Cardholders. (c) Where acting as data processor on behalf of the Customer, UK FUELS shall: (i) only collect, process, store, and use personal data (i) as required to meet the Customer's lawful, documented, and reasonable instructions (which shall unless otherwise agreed be to process personal data to the extent that such is necessary for the performance of this Agreement); and as required to comply with an EU or Member State law to which UK FUELS is subject, in which case UK FUELS shall (to the extent permitted by law) inform the Customer of that legal requirement before processing that personal data. (d) The Customer hereby generally authorises UK FUELS' appointment of subprocessors who may from time to time be engaged by UK FUELS in support of UK FUELS' provision of the services to the Customer, subject to UK FUELS meeting the conditions set out in Article 28 (2) and (4) of the GDPR. (e) UK FUELS shall implement appropriate technical and organizational measures to protect any personal data collected under this Agreement against accidental or unlawful destruction or accidental loss, alteration, unauthorized disclosure or access, in particular where the processing involves the transmission of data over a network, and against all other unlawful forms of processing. Having regard to the state of the art and the cost of their implementation, such measures shall ensure a level of security appropriate to the risks represented by the processing and the nature of the data to be protected. (f) Insofar as UK FUELS processes personal data on behalf of the Customer as data processor, UK FUELS shall (i) take reasonable steps to ensure the reliability of any UK FUELS employees who may have access to the personal data, and their treatment of the personal data as confidential; (ii) promptly notify the Customer of any communication from a data subject regarding the processing of their personal data, or any other communication (including from a supervisory authority) relating to the Customer's obligations under the Data Protection Laws; (iii) (notify the Customer without undue delay upon becoming aware of any personal data breach involving the Customer or its data subjects, such notice to include all information reasonably required by the Customer to comply with its obligations under the Data Protection Laws; and (iv) cease processing the personal data within 120 days upon the termination or expiry of this Agreement, and as soon as possible thereafter either return or securely wipe from its systems, the personal data and any copies of it or of the information it contains. (g) To the extent permitted by law, UK FUELS shall make available to the Customer such further information and (as applicable) co-operate in the conduct of any audit or review exercise, as the Customer may reasonably require to provide assurance that UK FUELS is in compliance with the obligations set out in clauses 6.4(c) - (f) (inclusive), provided always that this requirement shall not oblige UK FUELS to provide or permit access to information concerning (i) UK FUELS' internal pricing information; (ii) information relating to UK FUELS' other customers (including any pricing information); (iii) any of UK FUELS' non-public external reports; (iv) any internal reports prepared by UK FUELS' internal audit function; (v) any intellectual property rights of UK FUELS; or (vi) any information which would infringe the Data Protection Laws. Further a maximum of one audit or review may be activated under this clause in any twelve (12) month period and provided always that the parties shall (acting reasonably) agree a mutually convenient date for the audit or review to take place. (i) The Customer hereby expressly agrees to comply with the requirements of the data privacy legislation including but not limited to (where applicable) obtaining consent of each Cardholder to the processing of their personal data pursuant to this Agreement and warrants that it has obtained, or will obtain, (where applicable), all necessary consents from Cardholders to permit processing of their data by UK FUELS, Retailers and third parties designated by UK FUELS in accordance with this clause 6.4, before processing any such personal data. 7.1 This Agreement will take effect upon the first use by the Customer or Cardholder of a Card and it is concluded for an indefinite duration. UK FUELS reserves the right to terminate this Agreement at any time immediately without cause. 7.2 The Customer may close the account by calling 01270 655 704. No other form of communication shall be deemed to effect the closure of an account. In the event that the Customer closes their account, the Customer shall: (i) return all Cards to UK FUELS; (ii) ensure that there are no Transactions after the request to close the account; (iii) remain liable to repay immediately on demand any outstanding balance on the account, including all charges, fees and costs to the date of repayment(iv) where returning Cards by registered post, ensure that the Cards are cut into two and the magnetic strip is severed; and (v) only cancel the direct debit mandate with the UK FUELS when all outstanding payments have already been discharged. For the avoidance of doubt a Customer account shall not be closed until all Cards are returned to UK FUELS and all liabilities under this Agreement are satisfied. (i) if the Customer assigns this Agreement without UK FUELS's consent or if there is a change in control of the Customer. 7.4 If Notification of termination of this Agreement is given for whatever reason, the total outstanding balance of the Customer's account (whether invoiced or not) shall become immediately due and payable in full to UK FUELS. At the termination of this Agreement the right of the Customer to use Cards shall cease, and the Customer's access to the Website may be stopped or restricted. This is without prejudice to the Customer's liability for use of Cards after termination until the moment where such Cards have been received back by UK FUELS or to the rights of UK FUELS already accrued at the date of such termination at the conditions that were valid before the termination of this Agreement. Securities shall remain in force until the last payment due under this Agreement has been received by UK FUELS. 8.1 UK FUELS gives no warranty, express or implied, in relation to any Goods supplied to the Customer other than relating to the title of the Goods supplied. UK FUELS shall not be liable for any loss or damage suffered by the Customer or the Cardholder in connection with any Goods save to the extent that such liability cannot by law be limited or excluded. UK FUELS shall not be liable for any failure of a Retailer to process Cards or for any refusal by a Retailer to accept Cards. The sale of Goods by Retailers takes place under the exclusive responsibility of such Retailer and the Customer must lodge any claim relating to the sale of Goods directly with such Retailer. 8.2 UK FUELS's liability under this Agreement for any claims relating to Goods purchased with a Card is limited to the purchase price of such Goods. 8.3 UK FUELS is not liable for any loss of profits, loss of revenue or loss of opportunity or any consequential or indirect loss or damages incurred by the Customer or Cardholder as a result of a claim. 8.4 Claims by the Customer or Cardholder are waived unless made by registered letter within 10 calendar days from the date of the event triggering the claim. 8.5 The Customer shall indemnify and hold UK FUELS, its officers, employees and agents harmless in respect of any losses that are caused by or result from the negligence or wilful acts or omissions of the Customer or its Cardholders. 8.6 The Customer shall indemnify and hold UK FUELS, its officers, employees and agents harmless against all liability, including employer's liability, in respect of any damage to the property of UK FUELS or the Customer or the death or personal injury of their respective employees or agents arising out of or consequent upon the use of the Card, the Sites or the Product. 8.7 Nothing in this Agreement has the effect of limiting or excluding any liability of UK FUELS in respect of a Claim arising as a result of the fraud, negligence or wilful misconduct of UK FUELS, its contractors or agents and their respective employees (but, for the avoidance of doubt, UK FUELS shall not be liable in any way to the Customer or Cardholder for the fraud, negligence or wilful misconduct of any third party service provider) save to the extent that liability cannot by law be excluded, and provided that UK FUELS shall in no event be liable for any consequential or indirect loss howsoever arising. 10.2 UK FUELS may unilaterally vary, add to or delete any provision of this Agreement and changes to this Agreement shall be posted on the Website (including any relevant effective dates). The Customer shall check online from time to time for any updates or amendments to this Agreement. Use of a Card after any such update has been made to this Agreement shall be deemed to be acceptance of the modified Agreement by the Customer. 10.3 UK FUELS may transfer or assign the rights and obligations under this Agreement in whole or in part (including, but not limited to, transferring, assigning or factoring any debts or claims) to third parties (including but not limited to other Affiliates) without Notification. Furthermore, UK FUELS may, at its sole discretion, and without Notification, appoint any agent or contractor for the negotiation and/or execution of this Agreement and the Customer hereby expressly confirms its consent to any such appointment. The Customer may transfer or assign its rights and obligations under this Agreement with prior written consent from UK FUELS. 10.4 If the Customer consists of two or more persons, then their obligations under this Agreement shall be joint and several. 10.5 Each Party shall exercise reasonable care and diligence to prevent any action or condition which may result in a conflict of interest with those of the other Party. This obligation shall apply to the activities of each Party's employees and agents in their relations with the employees and families of the other Party, its representatives, vendors, subcontractors and third parties. Each Party's compliance with this requirement shall include, but shall not be limited to, establishing precautions to prevent that Party's employees or agents from making, receiving, providing or offering substantial gifts, entertainment, payments, loans or other considerations for the purpose of influencing individuals to act contrary to the other Party's best interest. Each Party shall promptly Notify the other Party the identity of its representatives or employees who are known in any way to have a substantial interest in the other Party's business or the financing thereof. 10.6 No remedy of UK FUELS against the Customer is intended to be exclusive, but each remedy shall, to the maximum extent allowed by law, be cumulative and in addition to any other remedy referred to herein or otherwise available to UK FUELS. The exercise, or beginning to exercise, by UK FUELS of any one or more remedies shall not preclude the simultaneous or later exercise by UK FUELS of other remedies. All remedies of UK FUELS shall, to the maximum extent allowed by law, survive any and all terminations of this Agreement. To the maximum extent allowed by law, no delay or failure on the part of UK FUELS in exercising any right, remedy, power, or privilege of UK FUELS shall operate as a waiver thereof. 10.8 This Agreement shall form the entire agreement between UK FUELS and the Customer in relation to the use of the Cards and supersedes all other agreements and understandings (whether written or oral) in relation to the use of the Cards. Any terms and conditions provided by the Customer shall not apply to this Agreement. 10.10 This Agreement, and any supplies of Goods made in conjunction with the use of the Card, shall be governed by, and construed in accordance with, the laws of England (excluding its rules on conflict of law) and Customer irrevocably submits to the exclusive jurisdiction of the courts of England. Neither the Uniform Law on the International Sale of Goods ('ULIS'), nor the United Nations Convention on Contracts for the International Sale of Goods 1980 ('CISG') shall apply. 10.11 For Transactions involving Supply Points outside of the territory of the UK FUELS company which has the primary relationship with the Customer (Outside Territory Transactions), an Affiliate will replace UK FUELS in relation to the sale of Goods and issue of Invoices as set out in this Agreement. 10.12 Use of a Card for Outside Territory Transactions constitutes a purchase of Goods from Affiliate or from Retailer, as the case may be. Title to the Goods and risk of loss will pass upon delivery of the Goods at the Supply Point. Invoices will be issued in respect of these supplies in accordance with the terms in clause 5 above. Your preferences and use of email updates, recorded by emails we send you (if you elect to receive email updates on products and offers). Your IP address; this is a string of numbers unique to your computer that is recorded by our web server when you request any page or component on the Website. This information is used to monitor your usage of the website. Any personal information we collect from this website will be used in accordance with the Data Protection Act 1998 and other applicable laws. The details we collect will be used to process your request or order, or to provide after sales service (we may pass your details to another organisation to supply/deliver products or services you have purchased and/or to provide after-sales service). We are committed to protecting the security of your personal data. We use a variety of security technologies and procedures to help protect your personal data from unauthorized access, use, or disclosure. For example, we store the personal data you provide on computer systems with limited access that are located in facilities to which access is limited. When you place an order with us, view account information, or provide financial information, we protect the transmission of such data using Secure Socket Layer (SSL) encryption. For sites to which you login, it is your responsibility to ensure the security of your password and not to reveal this information to others. 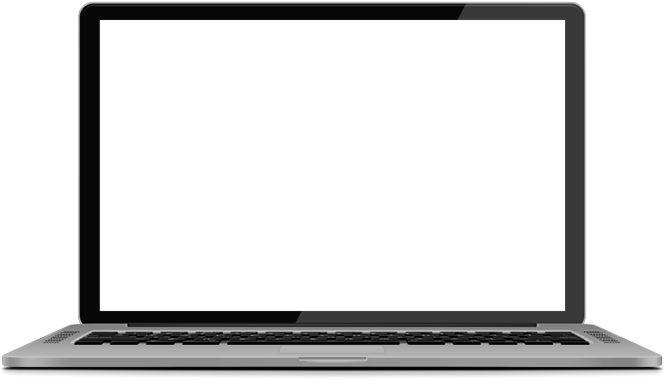 If you are sharing a computer with anyone you should always logout before leaving a Web site so that subsequent users will not be able to access your data.